BDS calls on music lovers to boycott Jerusalem Symphony Orchestra's concerts in South America. The Jerusalem Symphony Orchestra, which has been touring South America with solo violinist Itamar Zorman, has been targeted by the anti-Israel Boycott, Divestment and Sanctions (BDS) movement, the Israel Hayom newspaper reported on Tuesday. The movement is calling on music lovers to stay away from the concerts and staging protests outside the concert halls where the orchestra is scheduled to perform. Ahead of the orchestra’s scheduled concert in Santiago, Chile, which is the last stop on the South American tour, BDS activists organized a demonstration outside the concert hall and put up posters showing conductor Yeruham Scharovsky spattered in blood, according to the report. Israeli Ambassador to Chile Eldad Hayet has asked the Santiago police to help secure the event. Smaller demonstrations took place in Buenos Aires and in Tucumán Province in northwest Argentina, as well as in Lima, Peru, according to Israel Hayom. In 2014, Chile recalled its ambassador to Israel in protest over the violence in Gaza during Operation Protective Edge. At the time, thousands marched in Chile's capital and urged the country to break off diplomatic relations with the Jewish state. There are about 300,000 Arabs in Chile -- a country of 17 million -- including a large Palestinian Arab community. 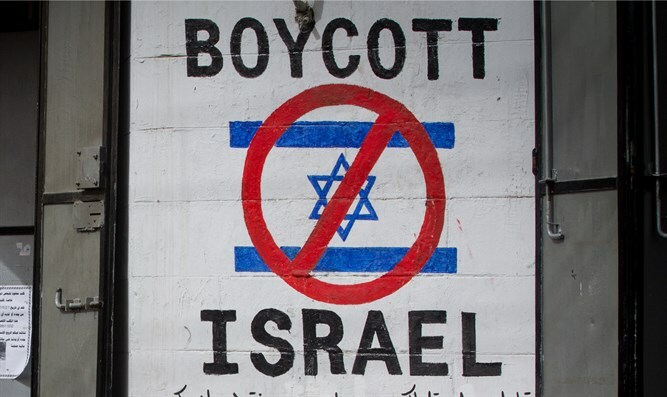 Last year, the Palestinian Federation of Chile threatened the country’s Jewish umbrella organization over its support of Israel’s decision to bar a Chilean boycott activist from entering the Jewish state.